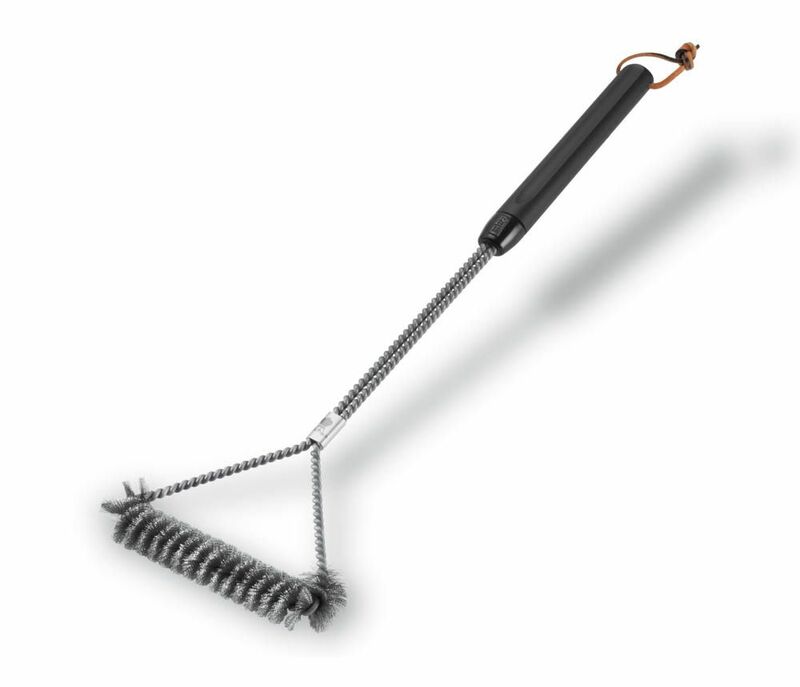 Use the Weber grill brush to clean your barbecue so you get the best flavour of each dish. Cleans large surfaces quickly and effectively. Shorter sides for scraping edges. Thick, stainless steel bristles resist wear. 45cm Three Sided Stainless Steel Bristles. 12”.